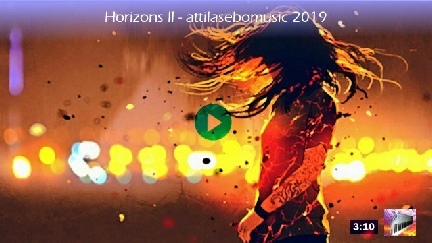 From 2012`s Attila created mostly dark space ambient music tracks. Attila currently focused on epic music combining elements of ambient, space electronic and classic Berlin school. Always discovering new electronic music instruments for unique sounds and atmosphere. Earlier Attila studied electronics, radio -television engineering technology and industrial engineering management, later studied computer and software engineering. Completing a Bachelor of Science degree both of electronic engineering and software engineering, Attila as a professional engineer has established private businesses since 90`s under business name 'seboelektronik ' and specialized in maintenance of audio-video appliances, computer peripheral and have been dealing with electronics spare parts also. Furthermore Attila have been manufacturing accessories and materials for MIDI or synthesizer keyboard maintenance. The gained experience and interests in electronics and in science, significantly influences Attila`s music since the first composition. Musically, Attila has also been influenced by a wide variety of music genres, as new age music, epic / cinematic, Berlin school, ambient, however Attila has always been focusing on creating unique “signature” sounds and style. For signature style and sounds Attila have been combining wide variety of software instruments, cinematic Kontakt libraries, Kontakt instruments and using different DAW and standalone applications. Attila`s music compositions have designed sound patches also for unique sounds. From year 2014 Attila has been creating tech HDR photos and mostly abstract digital artworks also. If you want to know more or would like to contact, visit and follow my social media pages for more news, music, artworks and information. Do not hesitate to drop an email.